More words from POSP stringer Tim. 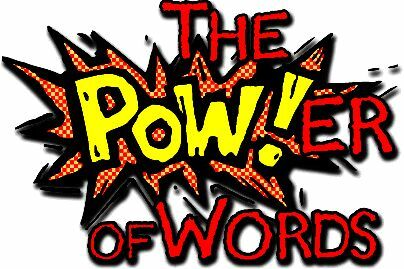 Wearisome repetition of words in speaking or writing. Noting or pertaining to rhythmic biological cycles recurring at approximately 24-hour intervals. 1. The art of decorating surfaces by applying cutouts (as of paper) and then coating with usually several layers of finish (as lacquer or varnish). 2. Work produced by decoupage. Out of the depths (of sorrow, despair, etc.). 1. The widespread existence within a society of sharply divergent formal and informal varieties of a language each used in different social contexts or for performing different functions, as the existence of Katharevusa and Demotic in modern Greece. 2. Pathology. the presence of two tongues or of a single tongue divided into two parts by a cleft. Of or pertaining to birthdays or to the position of the stars at one's birth. Making up or being a part of a whole, constituent. 2. A solid, rigid sheet of building material composed of several layers of the same or of different materials. A person who is spiritually isolated from or out of sympathy with his or her times or society. 1. Knowledge, understanding, or cognizance; mental perception: an idea beyond one's ken. Alleviating pain or harshness, soothing. 3. (initial capital letter) the gymnasium where Aristotle taught, in ancient Athens. An entire family network comprising relatives by blood and marriage and sometimes including close friends, clan. 1. Sharp or caustic in style, tone, etc. 2. Biting or given to biting. 1. Marked by fullness, strength, and clarity of sound, sonorous. To assail in a pasquinade or pasquinades. Dialogue especially of altercation or dispute delivered by two actors in alternating lines (as in classical Greek drama). 2. A subtle, specious, or crafty argument. 1. The working of a divine or supernatural agency in human affairs. 2. A system of beneficent magic practiced by the Egyptian Platonists and others. 1. An exhausting effort, especially walking or working. 2. An exhausted or bedraggled person. 1. To fatigue; tire; wear out. (of wind) to blow fiercely.